reaches high packing outputs in smallest spaces. In comparison to conventional inline packers the filling spouts of the ROTO-PACKER® are mounted on a rotating machine frame. Therefore less space is required to reach higher packing outputs with more filling spouts. Besides the standard ROTO-PACKER® for self-closing valves we can supply our ROTOSEAL system to hermetically seal the filled valve bags directly at the filling spout with the help of ultrasound energy. 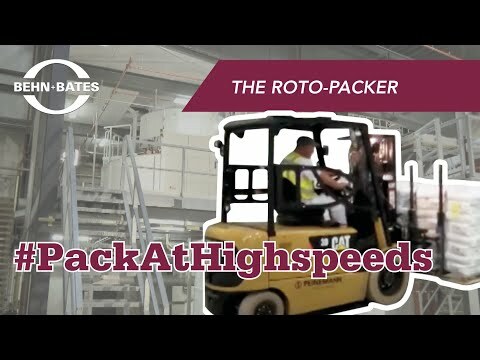 The ROTO-PACKER® and ROTOSEAL are equipped according to your requirements with either the air or the impeller filling system. The spouts can be retrofitted individually. The packing output can be increased by 100 % within a short time - without any changes to the prior or subsequent plant components.